A couple months ago, I cancelled my gym membership. Paying upwards of $60 a month to run on a treadmill when it is GORGEOUS outside, just wasn’t making sense to me. So I cancelled the membership, at least for the summer. In the mean time I have been searching through pinterest, as well as bodybuilding.com to find awesome, easy workouts that don’t necessarily involve too much equipment, or space. I’ve stuck a few good ones down below. Now I don’t take credit for any of these workouts. I haven’t created any of them, and I will do my best to link them back to the original sources. Please check out my Pinterest for other ideas. Follow me, I update the board regularly. I love this “Crossfit” workout. I don’t think it’s really Crossfit (last time I check they name their workouts after women). It involves needing a space to run, and that’s it. I have a couple parks nearby that are flat and nice scenery for a run, as well as a Garmin 110 GPS Running Watch, so it’s easy to keep track of mileage, pace, and time. I also have a local high school track, which once I looked into it – allows anyone to use it as long as sports teams aren’t having an official practice. This workout comes from Tone & Tighten. ” but like the site suggests, you can use paper plates to mimic them. Which, to be honest, why would you pay $25+ for sliders when paper plates work just great and they’re close to free??? Other moves, like the sumo squat, or goblet squat, suggest using weights. But soup cans, water bottles, those are weights too! Finally, the last moves involve a ball – the bridge with ball squeeze suggests a basketball, or a rolled up towel, I know you all have a towel! I did this workout through 2 cycles, and my legs were definitely tired, and I was feeling it the next day! 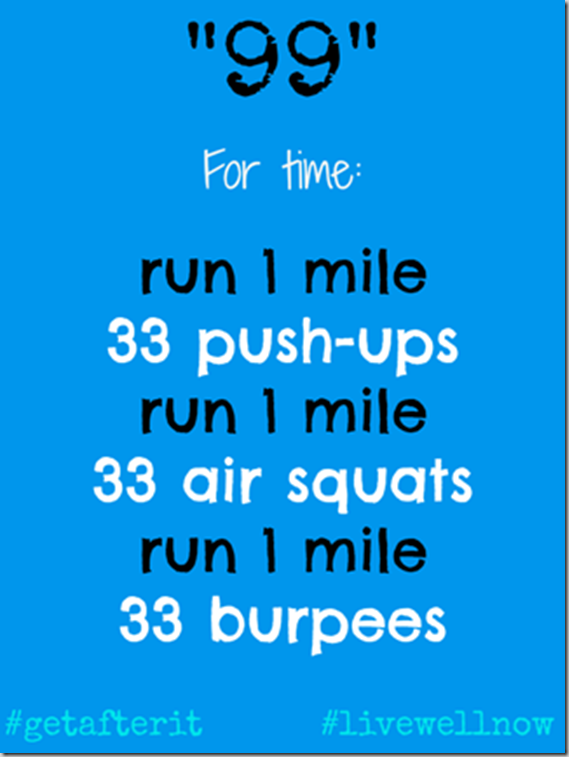 And finally, this workout. I initially found this on Pinterest, linked to this lovely blog. The graphic itself states that it’s from gotothegym on Tumblr. I have NO IDEA how to use Tumblr, someone explain to me how!!!! But, I love the workout nonetheless. What I LOVE about this workout is it requires no equipment. Again, super easy to do at home, or the local park. And hell, we all know most of us don’t work out 7 days a week, or 5 days a week. But, stumble across this on Pinterest, and do that days workout. Better than nothing, and doesn’t involve much thinking! It’s an easy quick workout, no excuses! I hope these workouts give you some ideas of easy workouts to do during the gorgeous weather this summer. They’re easy, quick, and almost excuse-proof with no/little equipment needed. What types of workouts do you guys do? What gets you motivated to move on those days when you just don’t want to? Follow me on Pinterest, and I’ll follow you guys back! Keep the ideas coming!